Main Picture - old view of original altar with ornate wooden reredos - sadly removed due to woodworm infestation. Click HERE for a detailed outline of the Parish History. Name that priest! Who were the men who served the parish of St Joseph's over the years? We do not have pictures of them all and are not sure of the dates they served. What we know is here - if you can fill in the blanks and/or supply a photograph please contact the webmaster. How has the interior of the church changed over the years? - Click on the pic to see! How has the exterior of the church changed over the years? - Click on the pic to see! These are photographs donated by parishioners which have not been put in any group yet. We need more information about some of them! CLICK ON THIS PHOTO TO SEE THEM. Celebrations - First Communions, Confirmations, Weddings. Clic the pic to see more. Parish People - some notable members of the parish. Click on the photo to see who they are. 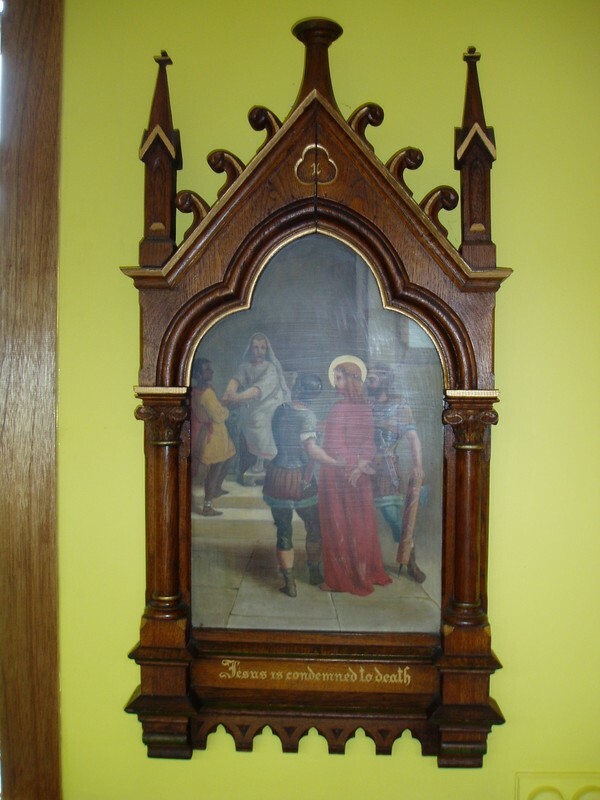 Parish Treasures - various furnishings and decorations - click to view. Parish 80th and 100th anniversary celebrations. Click to view.